I read a lot of great books this month, but my favorite was Quest for Celestia: A Reimagining of The Pilgrim's Progress , with No One to Trust (Hidden Identity Book #1): A Novel , A December Bride (A Year of Weddings Novella) , Variant, and Cinder (The Lunar Chronicles) being close behind. I'm so glad I was able to complete all of my reading goals for December! I also surpassed my Goodreads' Reading Challenge (I read 175 books in 2013 and my goal was 150). Now it's your turn! 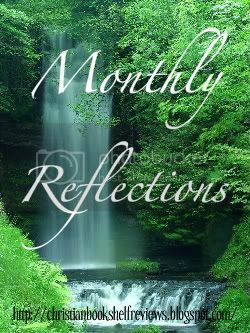 What did you accomplish in December, what do you hope to accomplish in January? 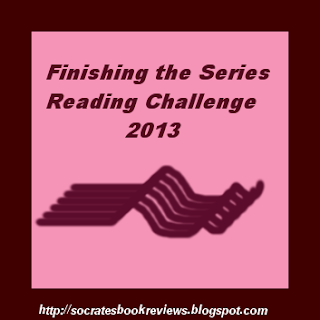 2013 is drawing to a close...My Wrap-Up Post For 2013 Reading Challenges! 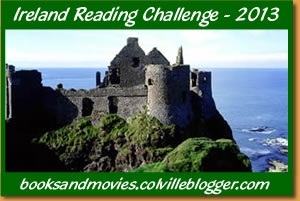 With 2014 being only a few hours away, it's time to post how I did with my reading challenges for 2013. I signed up for 13 and completed 12 of them (the only one I didn't complete was the 50 States Challenge - that one is so tough!). ☑Visit the signup page here. Visit the signup page here. ☑Level 3: Complete 3 or more series. 8. The 7 Hours Series (read Whole Pieces by Ronie Kendig, All of Our Dreams by James Andrew Wilson, and The Last Night of Alton Webber by Robin Parrish). ☑Level 5: Ancient History -25+ books. ✗Visit the signup page here. ☑Level two: Lady in Waiting: 4-6 books. 1) A book with a "girl's name" in the title- ie "Anne of Green Gables". 2)A book with a "color"in the title. ie- "The White Flower"
3) A book with a "number" in the title- ie "Three Fatal Blows"
4) A book with a "one of the trinity" in the title -ie (God, Jesus, Holy Spirit)ie- "When Jesus Wept"
5) A book with a relative in the title(Brother, sister, mother, father) -ie- "This must be my brother"
6) A book with a direction in the title-(ie- up, down, below, above, across)ie- "It's uphill most of the way down". While I had fun participating in these challenges, doing so many caused a lot of stress the last few months as I tried to fit certain books into my reading schedule just to complete some of the challenges. 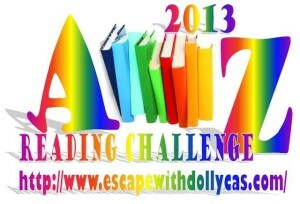 That's why, in 2014, I'll only be participating in one year-long reading challenge - 2014 Netgalley Reading Challenge. I've been really tempted the past couple days to sign up for a few others, but I've held back because I know I'll be glad I did later. Last Minute Read-A-Thon: Wrap-Up Post! Bout of Books 9.0 SIGN-UP Post! THE SOUND OF MUSIC, live on NBC December 5th! !